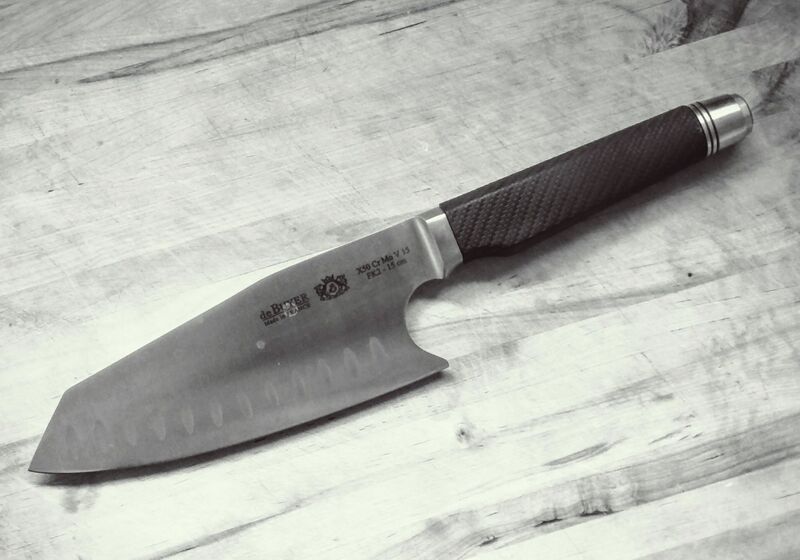 My latest acquisition is a DE BUYER FK2 Asian Chef Knife, 6-Inch, Metallic Black . I love De Buyer pans but I’ve never tried before De Buyer knives. I bought this one on a whim in Madrid’s El Corte Inglés, enchanted by knife’s beautiful shape. It’s proved as a worthy purchase, very light and thin blade is a blessing to work with and sharpen, the handle is super-ergonomic. Now I use it even more than one of my favorites – Wusthof Classic Chai Dao, 4177 / 17 Cm. In my opinion 6-inch knives are the most versatile knives in the kitchen and DE BUYER FK2 Asian Chef Knife is one of the best. On the heavy side of 6-inch specter I prefer Wusthof Classic 6″ Wide Cook Knife.